Since its founding over 15 years ago, Hach & Rose has distinguished itself as one of New York’s preeminent personal injury law firms. 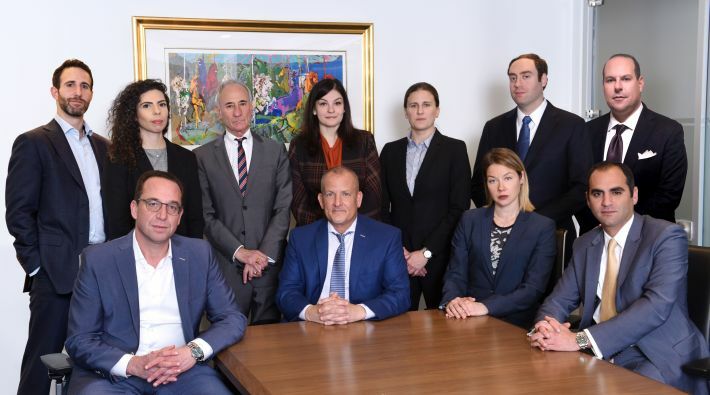 They have developed a reputation and expertise for achieving top results for clients involved in construction accidents, railroad accidents (FELA), truck and motor vehicle accidents, as well as those injured on dangerous premises on and off the job. The firm’s success has been recognized both in and out of the courtroom. Attorneys at the firm have been recognized by SuperLawyers, AV Preeminent by Martindale-Hubbell, and the Multi-Million Dollar Advocates Forum. In addition to the accolades received in the legal field, Hach & Roses attorneys have a specialized knowledge for the types of cases that they handle. Attorneys Gregory Hach and David Cheverie worked in the construction field while attending school. Attorney Mark Sokoloff has been representing injured railway workers for over 35 years. Attorney Halina Radchenko is Secretary of the New York State Trial Lawyers Association and is a frequent lecturer to attorneys in the Personal Injury field. Trial attorneys Michael Rose and Anthony Hirschberger have a long history of multi million dollar jury verdicts. The collective experience of the Hach & Rose attorneys places their clients in the best possible position for success and financial security. Recent results reflect the expertise of this law firm. These results include jury verdicts of over $13 million for a construction worker who fell off a ladder, over $12 million for a security guard at a hospital who was injured due to faulty construction, $8 million for a woman injured in a motorcycle accident, and $6 million for a woman injured on a dangerous premises.